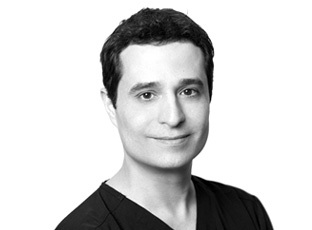 Dr. Bortecen is originally from Istanbul, Turkey, and he brings a special skill set and level of training to our surgical team at NYC Surgical. His training encompassed a wide variety of techniques before focusing on hepatobiliary (liver) and kidney surgery, including transplantation.His academic credentials are from some of the country’s top institutions. He completed his surgical residency at Yale University, his Ph.D. at Oxford University and his liver, pancreas and kidney transplantation fellowship at the University of Pennsylvania. He has been an Assistant Professor of Surgery at Dartmouth-Hitchcock Medical Center in New Hampshire, and prior to joining NYC Surgical Associates, was surgical staff at the New York University Medical Center. Given his wide, long standing expertise in intra-abdominal organ surgery, including vascular operations on these organs, as well as his profound knowledge of complex physiology, Dr. Bortecen was recruited to NYC Surgical Associates as a specialist in all deep venous and arterial procedures, including kidney and liver intervention. His research experience spans several decades and topics, from liver, stomach and kidney surgery to interventional techniques, and he has authored dozens of peer reviewed articles. He continues to speak nationally and internationally on interventional and vascular topics as well as other surgical techniques. His gentle, warm bedside manner and meticulous attention to his patients makes him a true asset at NYC Surgical Associates, where he continues to lead our teams to produce award winning outcomes. He is board certified by the American Board of Surgery and licensed as a surgeon in 11 states. In his free time, Dr. Bortecen enjoys physical fitness, surfing, skiing, arts, and travel.